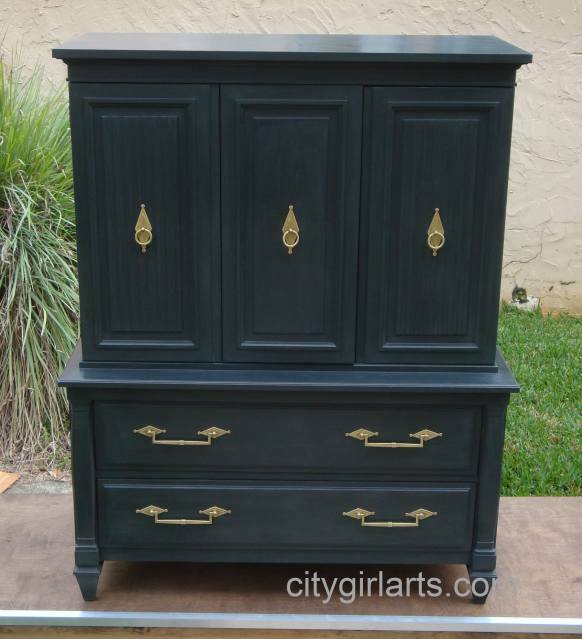 Leslie from City Girl Arts shared this beautiful diamond dresser redo with striking brass hardware! Wendy from Sometimes Twice used paint and pretty paper to take this little bookcase to a whole new level! 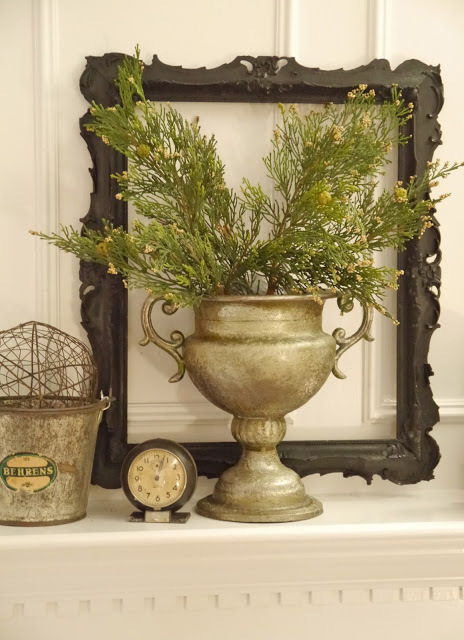 Mary Alice from Chateau Chic used the theme of clocks and time for her January mantel and I am totally smitten! 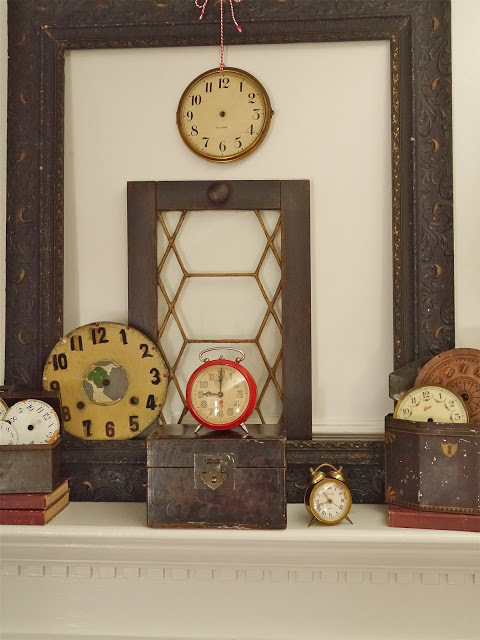 And Doreen from Hymns and Verses created this totally awesome Ballard Designs wall clock knockoff for under $15! WOW! My friend Emily from The Diligent One turned an under-utilized closet into an amazing mini-mudroom! Looking for a Valentine's Day gift idea? 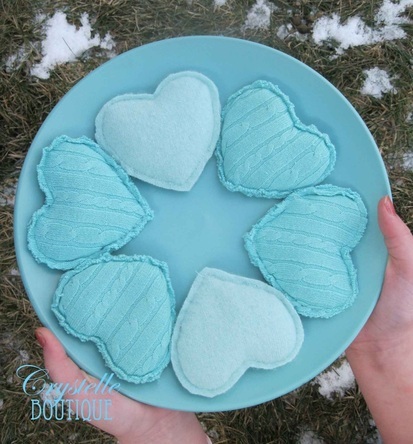 Crystelle from Crystelle Boutique shared these darling little heart handwarmers made from upcycled sweaters! 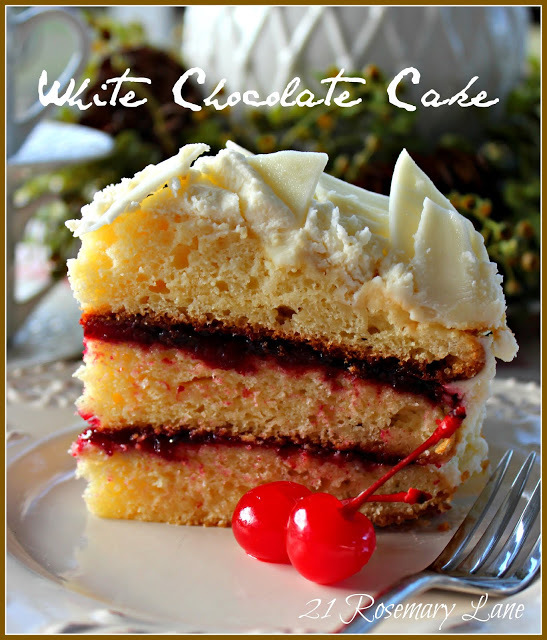 I think this Delicate White Chocolate Cake with Cherry Preserves from Barbara at 21 Rosemary Lane just might be the perfect cake to make your sweetheart for Valentine's Day! And I have one more feature to share, but I'm saving that for tomorrow because it has a little story to go along with it! Thanks so much for featuring my clock. I love the bookcase with the paper back and may have to try that and I'm off to retrieve the recipe for the white chocolate cake - it looks soooo good! Have a wonderful day! That clock is one popular project right now! Love the mantel with the little clocks, and the bookshelf is gorgeous. Happy Tuesday Sharon! Hi Sharon, thanks for hosting. Love joining in. Such varied and great features this week. Oh, Sharon! A million thanks for the feature. :) I'm in such good company! Thanks, Sharon, for the feature! I'm honored that you liked it. There were so many great projects. Thank you for hosting! I am your newest follower. Thank you Sharon for hosting another party! I love the first one, colours are gorgeous!! Oh thank you so much Sharon for the shout out on my white chocolate cake...what a wonderful surprise today!!! You have so many super features this week...I adore the mantel with all those beautiful clocks. So honored to be included in this week's features. Thank you too for hosting and wishing you a fabulous week!!! Thank you so much, Sharon, for featuring my blog post. I feel very honored to be among those featured this week. I also appreciate you hosting this party each week! these are amazing features! i love that bookcase and the first dresser. and more... i need to go look again and pin away! Sharon, a new year- a new party! Here we go! 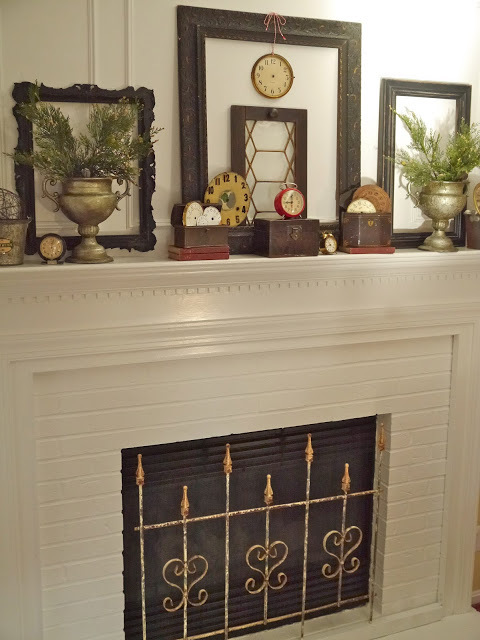 love that clock mantel! so pretty and a great idea! Thank you so much for featuring my bookcase! I decided to keep it! I found a perfect spot in my home for it! So happy to have found your blog and I'm joining in the link party... now let me go read more. A feature and a thank you!